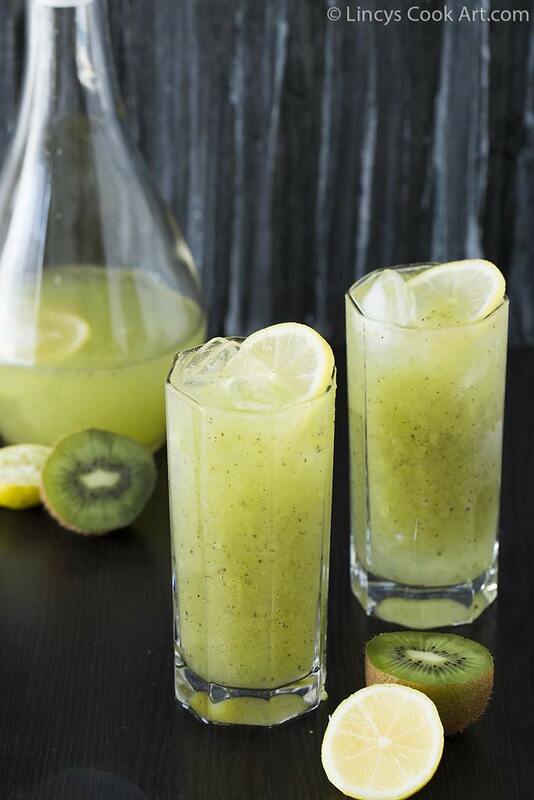 Kiwi Lemonade| Sharbat is an easy to make thirst quencher especially at this season. The sun starts to show its powder, this year starting of the summer itself is too hot. Expecting more sun shine during summer days. This quick thirst quencher will definitely going to my choice during these days.When we go out and reach home we do not feel like eating solid food and feels some thing to drink. So this quick drink would be perfect at those times to quench your thirst. I have shared many thirst quenchers during last summer. 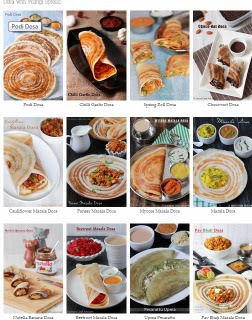 Do check those recipes too and make this summer super cool! Peel and roughly chop the kiwi. If you donot like the seeds you can remove that portion. 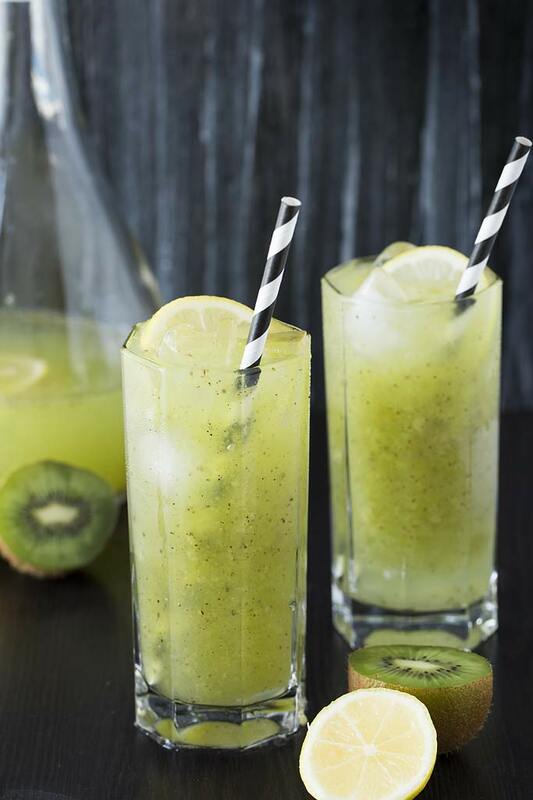 In a blender jar add the kiwi and sugar or honey and blend to make a paste. 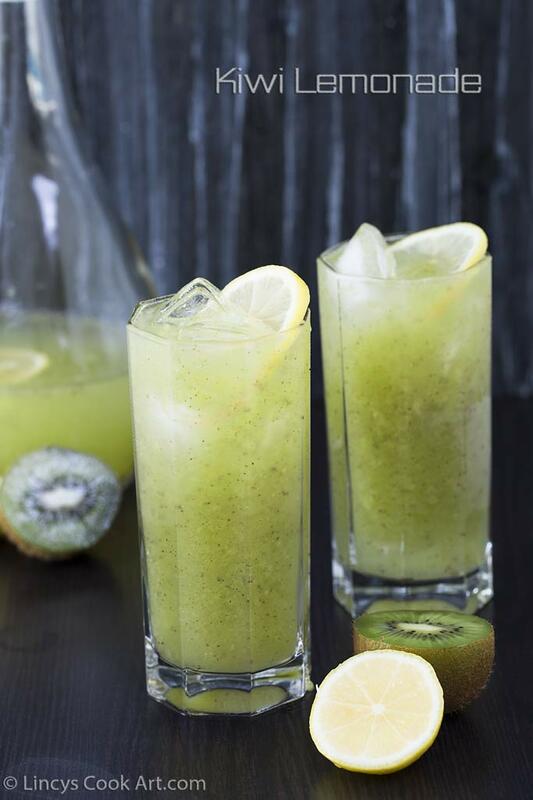 In a jug add the kiwi puree and squeeze the lemon juice; Dilute the lemonade with water and add some ice cubes and serve. 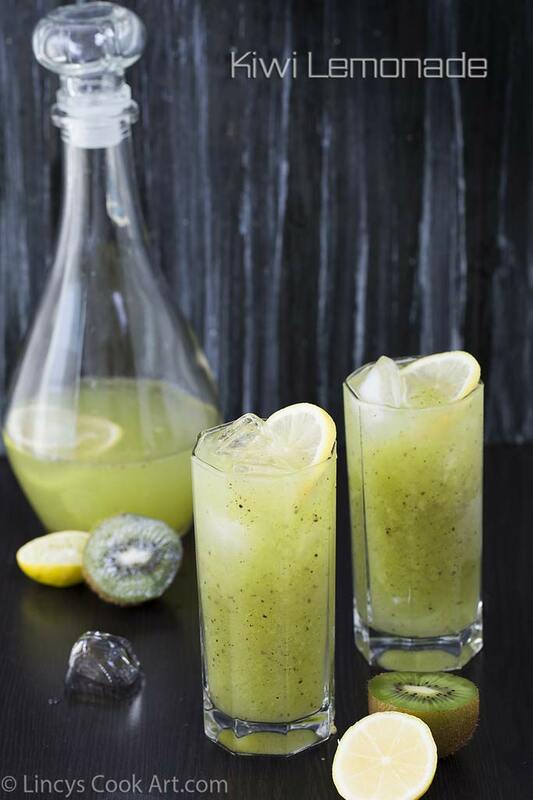 Note: You could add a piece of ginger or mint while grinding for a taste variation. Use soda or sparkling water instead of water for variation.